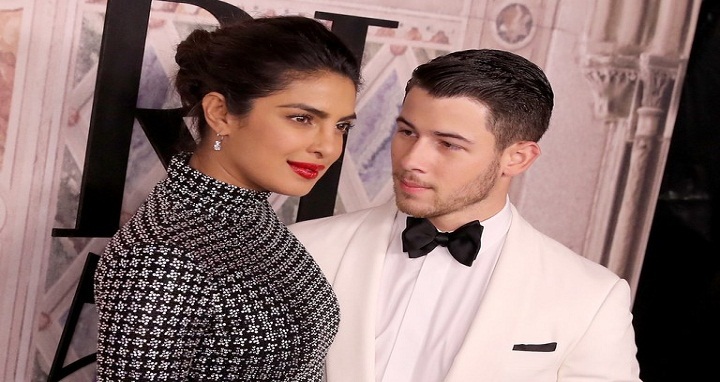 Dhaka, 9 September, Abnews: Priyanka Chopra and Nick Jonas are the toast of the town and nothing proves it better than the many pictures and videos they keep posting from their life around the globe. Now, we have got something even better as Nick himself revealed how he fell in love with Priyanka on Jimmy Fallon’s Show. Nick and Priyanka are seen with fashion model Tyson Beckford and American fashion designer Vera Ellen Wang in the photo. On Saturday, in their pictures from the event, the couple looked all lovey dovey. In some, she is holding on to Nick as they pose and, in others, Nick is holding her hand and helping her take a step. The two look blissfully happy, reports Hindustan Times.